If you are a returning former student*, don't forget to re-enroll first! Learn more about re-enrollment. If you are a student on academic probation, you will have to meet with a professional academic advisor before you can schedule your classes. Please make an advising appointment. Log into myMiami and access BannerWeb. Select List All Requirements and click Run Audit. View your DAR to see what classes you should take. Text in red and designated with the large "X" means you still need to complete that category for graduation requirements. Log in to myMiami and access BannerWeb. Click Check your Registration Status and Your Registration Dates & Times. Click Look-up Classes to Add. Select the semester for which you want to search. Click Submit to start searching and registering! You can hold the CTRL key down to select multiple options in any search field. Remember that you can search by Attribute Type to find courses that meet specific Global Miami Plan Foundation areas, or online/hybrid courses. Also, you can search by day of week/time of day, to find courses that fit your schedule. Find more information about registration at the One Stop website. *If you have previously completed coursework as a degree-seeking student at any of the three Miami campuses, you are a returning former student. You should re-enroll before registering for courses. 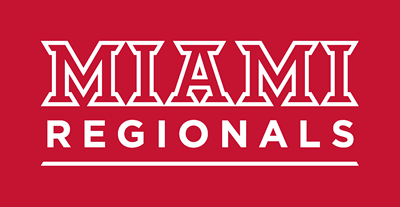 If you never enrolled in classes but have applied to Miami Regionals before, contact the Office of Admission in Hamilton or Middletown to complete a re-application.